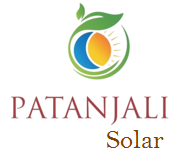 Tata Solar Providing Solar Solution since last 29 years with best world-class solar solutions with a legacy of technology innovation manufacturing units, Tata Power Solar is a respected name and recognized for its efforts driven by quality and reliability in solar panel both within India and worldwide. Tata Solar panel has his own module manufacturing unit capacity of 400 MW and the cell manufacturing unit with a capacity of 300MW with over 1.7 GW of modules shipped globally in the past 22 years. Tier 1** bankable module manufacturer*** with 27 year history. Torsion and corrosion resistant with anodized aluminum frame. Cells sorted by power and current to minimize losses in the modules. Highly reliable IP67 rated junction box. High fill factor for improved energy conversion efficiency. Greater energy generated due to positive power tolerance of up to 5W. Reliability under extreme weather conditions. TUV and UL certified Potential Induced Degradation free modules. Peace of mind guaranteed by Tata Power Solar for 25 year performance warranty.